Sergio Bruni (stage name of Guglielmo Chianese, 15 September 1921 – 22 June 2003) was an immensely popular Neapolitan singer, guitarist, and songwriter. He was often called "The Voice of Naples". Born in the commune of Villaricca, near Naples, Italy, by nine years of age he had already started attending a school of music. Two years later he was playing clarinet in a local band, which was his first experience as a professional musician. In 1938 his family moved to nearby Chiaiano, where he started work as a labourer. In September 1943, while at home convalescing from the Italian army, he heard of the popular uprising going on against Nazi troops occupying his city of Naples at the time. With a number of acquaintances he joined a group of volunteers to oppose the German army in the vicinity. While returning from action he was seriously injured in a fire-fight with German soldiers, which left him with a permanent limp. After his release from hospital he returned to studying music under Vittorio Parisi and made his singing debut at the Royal Theater in Naples on 14 May 1944. In October 1944 he won a singing competition which resulted in a contract with Radio Naples, where he worked under the guidance of Gino Campese. In 1948, he married Maria Cerulli. They had four daughters. Over the following years he had many successes, both live and and in studio. 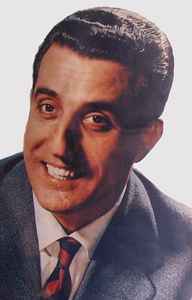 In 1960, after having spent a period of his life in Rome, he returned to his home in Naples to more fully concentrate on his lifetime love for Neapolitan songs. He had a big hit with Carmela in 1975, which has since become a classic of the Neapolitan genre, and this was followed up by the album Levate 'a maschera Pulecenella, which led to major television and stage appearances the following year. In March 2000, he left Naples to join his daughters in Rome. In 2001, he recorded his last song, "Ma dov'e'", sung with Lino Blandizzi. He died with his family in Rome on 22 June 2003.